Lancaster County’s Amish Community is one of the largest Amish communities in the United States, and their traditions enrich those who get to know them. They are an 18th century culture living alongside a modern world. There are patches of Lancaster County, PA where life shifts from the speed of the highways to the clip-clop of horses’ hooves on paved road. In these places, one may catch a glimpse of a community of people known for their religious culture, plain dress, and lack of modern conveniences: the Amish. Between the 1720s and 1730s, a small Amish community arrived from Europe and settled in Pennsylvania to pursue religious freedom. Today, their unique way of life closely resembles what it was then: simple, non-materialistic, and dedicated to God. The Amish of Lancaster County focus their life on service – first to God, then to their family, and the Amish community. Discover how these simple values have shaped how the Amish live alongside their non-Amish, or “English,” neighbors. One of the most visually defining elements of the Amish is their “plain” clothing, which aligns with their tradition of humility and modesty. 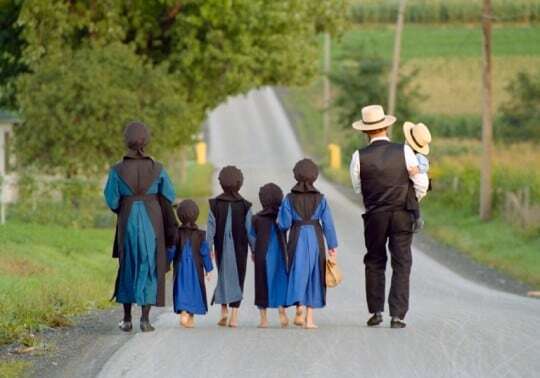 The Amish believe in a Biblical call to plain dress that is not revealing and that does not fall prey to “worldly” fads, fashion, or anything that might cause feelings of pride or vanity. All items of clothing are utilitarian and conservative. Because Amish communities are governed within small districts, there is some community-to-community variation. However, all Amish dress is in keeping with their commitment to simplicity. Questions to ask your tour guide: Why don’t Amish use buttons? Why don’t they use a belt? When do the Amish wear white? In general, the Amish shy away from using modern technology and conveniences – like electricity, cars, and computers – to honor their religious separation from worldly influences. They do not view modern developments as evil: they want to avoid being drawn into temptations that might threaten to deteriorate their values. However, limited use of conveniences is sometimes allowed, as long as the Amish lifestyle remains true to their core values of focusing on God, family, work, and community. 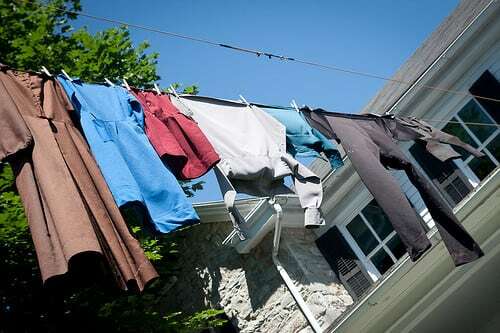 For example, depending on the district’s rules, some Amish might use electricity for businesses, fences, appliances, or lighting buggies at night. Questions to ask your tour guide: Do Amish have cell phones? How does their refrigerator work? Do they ever drive cars? The Amish church began in the late 1600s as a branch of the Anabaptist movement. 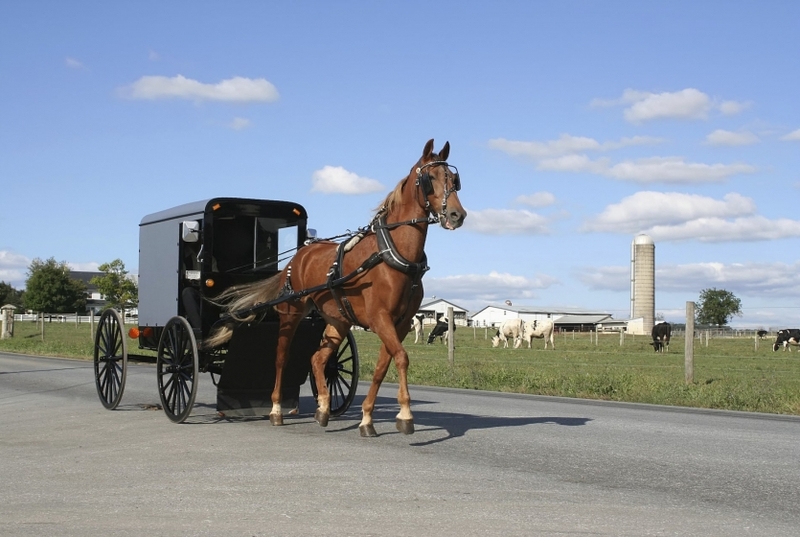 Due to heavy religious persecution, many Amish fled to Pennsylvania for religious freedom. Today, new members join the Amish Church by getting baptized, typically between the ages of 16 and 25. 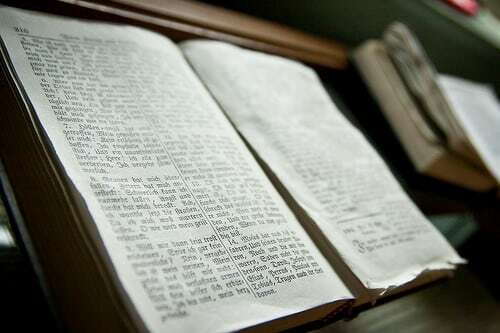 The Amish believe the Bible is the sovereign word of God, and is literal (not metaphorical) in meaning. They live differently and separately from modern society as an attempt to live “in the world, but not of it.” This shapes the Amish community’s rejection of modern conveniences, their simple lifestyle, and their values. Questions to ask your tour guide: Where do the Amish go to church? How do Amish teens “spread their wings” prior to baptism? How long is an Amish church service? 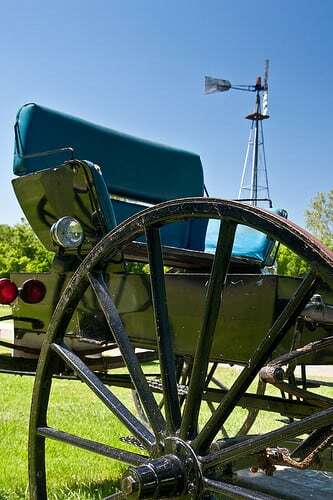 The Amish Village thrives in answering questions about Amish traditions, heritage, beliefs, and practices. Get a hands-on experience learning about the Amish by touring our Amish Farmhouse, the Village grounds, and the backroads of Amish farmlands.